Grim Tales: The Stone Queen is a game that offers you a great chance to get into a fairy tale. The game is full of everything that makes it a great experience. You get to solve a mystery, oppose an evil queen, and deal with all the puzzles. The game play is pretty enjoyable. There are some hidden object levels that are all interactive. Your nephew has encountered an evil queen in a small town. She is set to revenge and bring everything to destruction. You are to find out the story behind this this lady, who used to protect the miners. Saving the worlds is your mission in Grim Tales: The Stone Queen. The game's graphics are all detailed and crisp and they create some really nice scenes to play in. 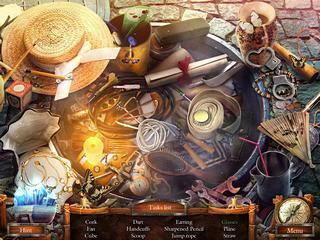 There are voice overs, too, which is always a great thing in a hidden object puzzle adventure game. The game play is pretty enjoyable. 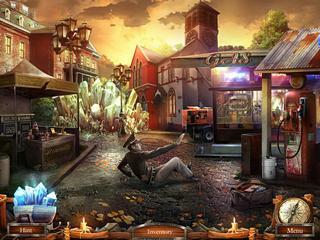 There are some hidden object levels that are all interactive. You can use a hint if you get stuck. The hint system work really well at telling you where to go and what to do. The adventure part takes up a great deal of a game. You are going to enjoy the character that you meet, but you need to be careful with them. There are also mini-games to play, most of which are interesting and fun. The game is great. You should check out the free version first if you are not sure about it. This is Grim Tales: The Stone Queen review. Download this game here.